In January of 1869, Friedrich Nietzsche was offered a peach of a job—a professorship in classical philology at the University of Basel. Nietzsche was just twenty-four and far from completing his dissertation, but the university’s standards for employment were looser than those of its German counterparts. Nietzsche was delighted, so much so that upon learning the good news, he broke into song: he spent the rest of the day singing melodies from Tannhäuser, his favorite opera. The position, to be sure, had what some scholars might have considered a drawback. On top of teaching eight hours a week at the University, Nietzsche would be required to give an additional six hours of instruction at a local Gymnasium But this wouldn’t be a problem, Nietzsche had told his Doktorvater, Friedrich Ritschl, one of Germany’s most renowned classicists. Ritschl passed that message on to the hiring committee, along with his imprimatur, and the appointment was made. When Nietzsche set off for Basel, then, Ritschl likely felt confident that he had helped launch another brilliant academic career. 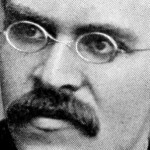 Yet only a year later, Nietzsche had begun to move away from the kind of work—studies of Diogenes Laërtius, contributions to an Aeschylus lexicon, analyses of Roman and Greek meter—that had so enthused his mentor, prompting him to tout Nietzsche as the most precocious student he had ever seen. Nietzsche had also begun to show signs of deep disillusionment. Indeed, he pledged to a friend that he would “publicly expose” the whole Prussian system of education. 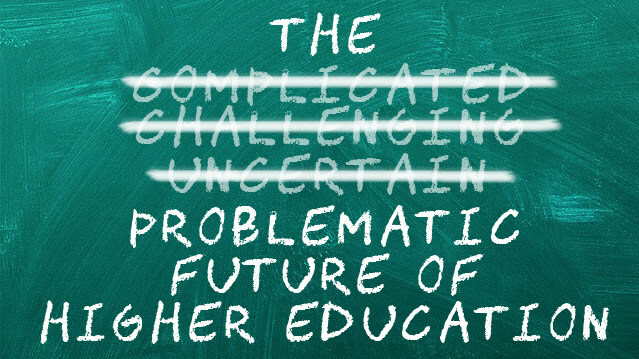 This article makes the case that the lecture series On the Future of Our Educational Institutions, which Friedrich Nietzsche held in 1872 and scholars have long neglected, marks a crucial point in the development of the philosopher’s outlook. 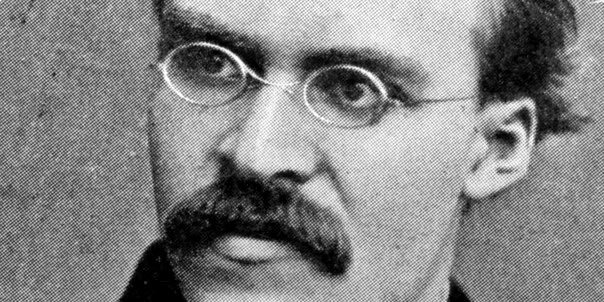 In doing so, the article shows that Nietzsche’s lectures resonate in suggestive ways with twenty-first-century debates about higher education. PAUL REITTER is the director of the Humanities Institute at Ohio State University, where he also teaches in the German Department. His most recent book is Bambi’s Jewish Roots and Other Essays on German-Jewish Culture (Bloomsbury, 2015). CHAD WELLMON is an associate Professor of German at the University of Virginia and author, most recently, of Organizing Enlightenment: Information Overload and the Invention of the Modern Research University (Johns Hopkins, 2015). His “Touching Books: Diderot, Novalis, and the Encyclopedia of the Future” appeared in Representations 114 (Spring 2011). James Q. Davies, Associate Professor of Music Scholarship at UC Berkeley, will present a talk at UC Berkeley entitled “Romantic Anatomies of Performance.” Part of the Berkeley Book Chats series sponsored by the Townsend Center for the Humanities, the event will take place on Wednesday, October 14, from noon to 1pm in the Geballe Room, 220 Stephens Hall. 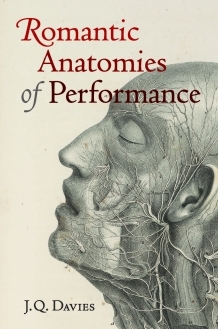 Davies’s essay, “On Being Moved/Against Objectivity,” is forthcoming in Representations 132. Part of a special forum on “Quirk Historicism,” the essay identifies the ‘‘soft modernist’’ provenance of recent scholarship through an account of musical rocks named and mythologized in the nineteenth century. Deadline fast approaching: October 15, 5:00 pm. Starting in the 2015–2016 academic year, Representations will be collaborating with the Townsend Center for the Humanities to present an annual event—a lecture, colloquium, or symposium—to be held on the UC Berkeley campus. The event will bring together a small number of people from UC Berkeley and beyond, around a focused theme. It is the hope of the sponsors that the events will lead to a special section in, or a special issue of, Representations and/or result in a volume in the Townsend Center’s Berkeley Forum in the Humanities book series. Up to $5,000 is offered per proposal. Accepted proposals for Spring 2016 will be announced by November 20. How to submit: Proposals may be sent via email to Representations: reps@berkeley.edu. 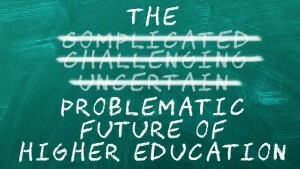 The Center for Public Scholarship at The New School for Social Research presents The Problematic Future of Higher Education, a discussion on the ways in which higher education is changing with the demand for outcome-based education, the shift to MOOCs, and the challenging financial landscape students and universities face. The panel discussants include David Bromwich (Sterling Professor of English, Yale University), Andrew Delbanco (Alexander Hamilton Professor of American Studies, Columbia University), Richard Kahlenberg (Senior Fellow, Century Foundation), and Marina Warner (Professor of English and Creative Writing, Birkbeck, University of London). The discussion will be moderated by Kenneth Prewitt (Carnegie Professor of Public Affairs, School of International and Public Affair, Columbia University). The free event will take place on October 13, from 6:15–8:15 pm, at The New School, 55 West 13th Street, New York, NY, in the Theresa Lang Community and Student Center, 2nd Floor. A related discussion can be found in the Representations special issue, “The Humanities and the Crisis of The Public University” (116, Fall 2011). In June of 1381 the English government briefly lost control of significant portions of the realm. Sometimes called the Peasants’ Revolt, this concatenation of local insurrections was the largest rebellion of unenfranchised people in medieval England. It began as a tax rebellion: the first violent incident was against a royal commission investigating tax evasion in Essex and seeking to raise missing sums. In the following days, coalitions of peasants, laborers, and artisans in towns and villages across southeastern England organized themselves into a new authority directly opposed to the authority of the landlords and royal government. Properties belonging to the king’s hated councilors were destroyed; legal documents were seized from landlords and county officers, carried to town squares, and publicly burned; prisons were broken open and prisoners released. Many of the insurgents’ victims were directly involved in tax collection; others were well known as prominent officials of the county government. As news of the insurrection spread to neighboring counties, so too did insurrection itself. Meanwhile, detachments from Kent and Essex converged on London, where they hoped to present their grievances to the young king. When Richard retreated into the Tower and declined to hear the accusations against his councilors, the rebels struck out on their own. On June 14, at Tower Hill, the king’s chancellor and his treasurer were summarily executed as traitors to the realm. The murder of these two men belonged to the same series as the first events of the rising: the chancellor had presented the government’s enormous subsidy request at the Northampton Parliament the previous November; the treasurer had presided over collection of the tax. However, motives and grievances had now generalized well beyond matters of taxation. The demands that the rebels made to the bunkered king in London included regularization of terms of land tenure throughout the realm, removal of protective restrictions on the sale of agricultural produce, removal of the statutory prohibitions against free negotiation of wages, and abolition of serfdom. The insurrection was broken almost as quickly as it arose, though with greater loss of life. Soon afterwards, the London poet John Gower wrote a new poem. A lawyer and rentier, Gower was distinguished from the principal targets of the rebels’ violence by his physical remove from the peasants whose surplus he extracted, and by his apparent abstention from government service. In 1381, Gower may already have been living in the Augustine priory of St. Mary Overie, situated at the southern end of London Bridge, over which the Kentish rebels crossed into the city on June 13. Gower’s poem on these events is named Visio Anglie in recent scholarship. It joins the Anonimalle Chronicle, the Westminster Chronicle, and the chronicle histories of Thomas Walsingham, Henry Knighton, and Jean Froissart as the most substantial literary treatments of the largest popular rebellion in premodern England. Visio Anglie is distinguished from these chronicles, however, by Gower’s unbridled fictive imagination, beside which the inventions of Walsingham and Froissart appear tame. In a different way, the fictive imagination of this poem distinguishes it from Gower’s own previous compositions. The poem on the rising is a vertiginous dream vision in Latin elegiac couplets. At the beginning, the Gower persona imagines he has taken a stroll into the fields to collect flowers on a pleasant summer day. He reaches the green space of aristocratic pleasure, only to find that “diverse hostile types of ordinary people were loitering in the fields in innumerable bands” (Diuersas plebis sortes vulgaris iniquas / Innumeris turmis ire per arua vagas). The dreamer is dazzled by fear and contempt. God’s curse falls upon the ordinary people and transforms them into animals. 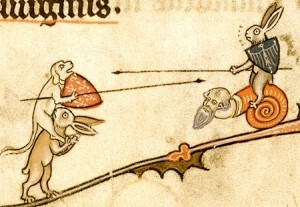 A second divine intervention causes each of the animals to abandon its own nature and take on the most homicidal qualities of wild, mythical, and scriptural beasts. They viciously presume to the status of noble animals, that is, of animals cultivated by nobility. They become fire-breathing, God-denying, property-thieving monsters. The rebel-animal-monsters unite under the leadership of a garrulous jay (the rebel leader Wat Tyler in Gower’s roman à clef) and storm the walls of Troy (that is, London). The great city is betrayed; chaos and devastation ensue. The defeated aristocrats entrust themselves to a ship representing the Tower of London. It floats out to sea, now pursued by the rebellion in the form of an ocean gale. Against that final incarnation of rebellion all defenses are futile, excepting only prayer. This essay examines the moral and political thought of John Gower’s poem on the English Rising of 1381, situating it within three contrastive fields: Gower’s moral project, his Virgilian intertext, and the practices of moral community employed by the rebels of 1381. IAN CORNELIUS is Assistant Professor of English at Yale University. His work is focused on the literature and culture of late medieval England.